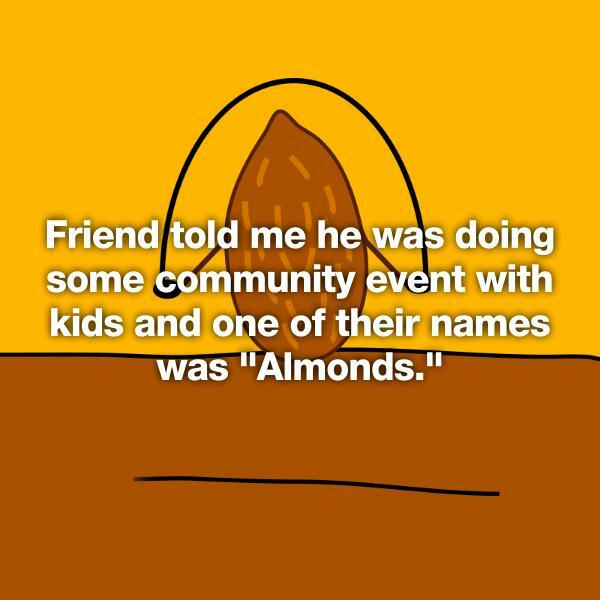 Gone are the days of naming your precious children things like David or Sarah or Becky or Chad. 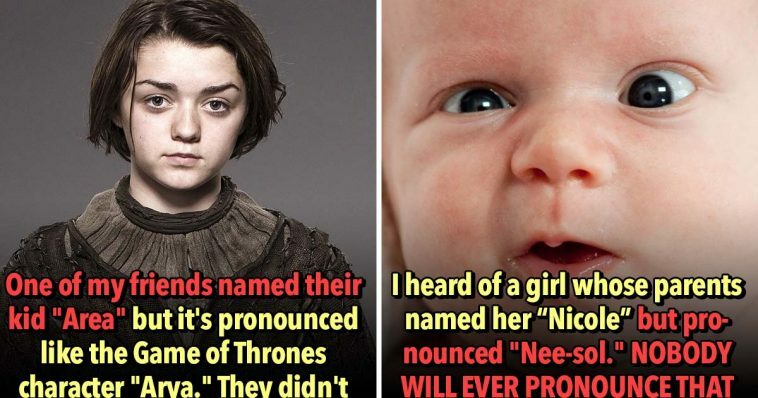 No — now millennials are naming their kids Axe and Baelee and Lasagna and Khaleesi. I kid you f*cking not. 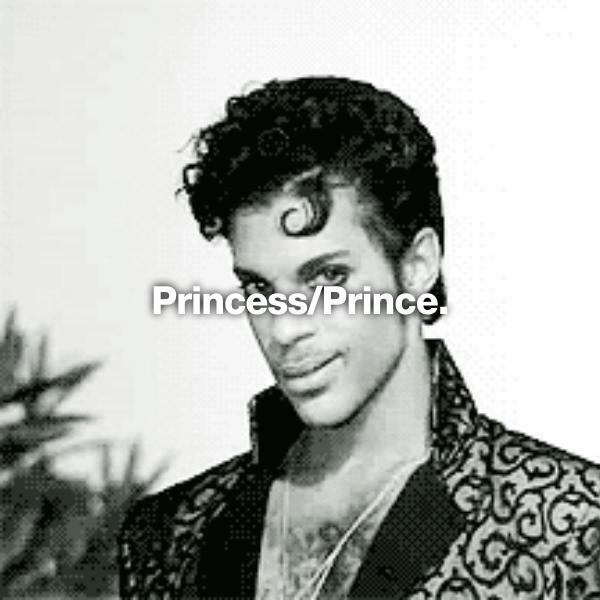 I love Game of Thrones as much as the next b*tch, but am I going to name my first born after the mother of dragons? Actually, maybe. I don’t know if it’s become a competition of who can come up with most ridiculous grouping of syllables and vowels or what, but baby names today really make you want to punch the parents straight in the face. Parents seem to forget that babies grow up — “Bleach” is going to have to explain his name to every first homeroom, every orientation, every new job, and to all of his fateful lovers. 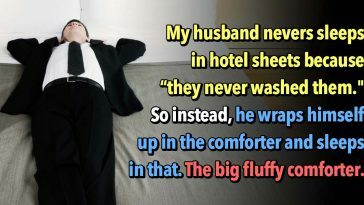 Bleach is not going to enjoy this. And when parents just decide to spell a name like Jackson with an “x”? 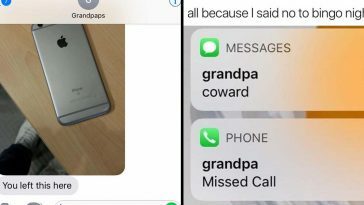 Well, you can just go right ahead and f*ck yourself because there is absolutely no reason for that other than you saw it on a list on Pinterest and thought it was edgy. 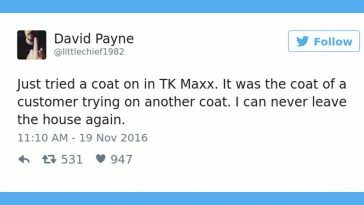 And the next time I see a toddler running around in a leather jacket and $200 shoes with the name Ry-Leigh, I’m going to f*cking lose it. Give me a Devon or Ashley or Justin any day. 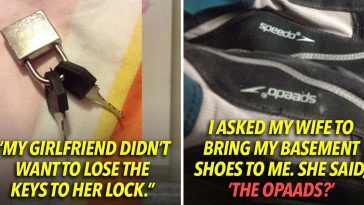 Try not to roll your eyes, I dare you. Lady who works at Sam’s by my house is named Lasagna. I did a double take and she got pissed. 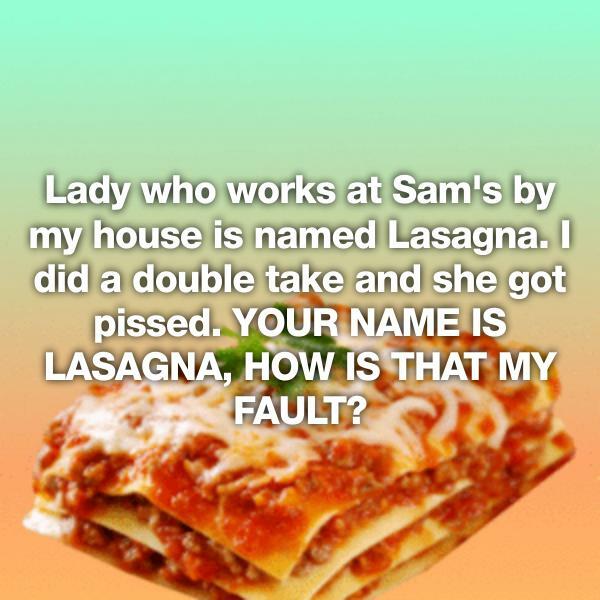 YOUR NAME IS LASAGNA, HOW IS THAT MY FAULT? 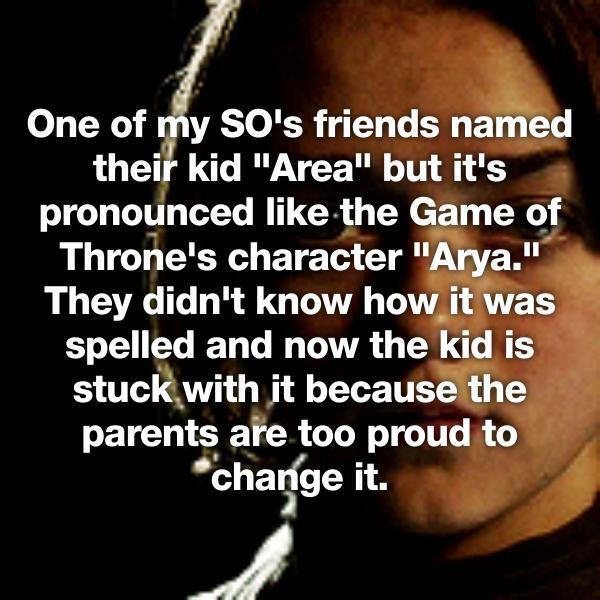 One of my SO’s friends named their kid “Area” but it’s pronounced like the Game of Throne’s character “Arya.” They didn’t know how it was spelled and now the kid is stuck with it because the parents are too proud to change it. 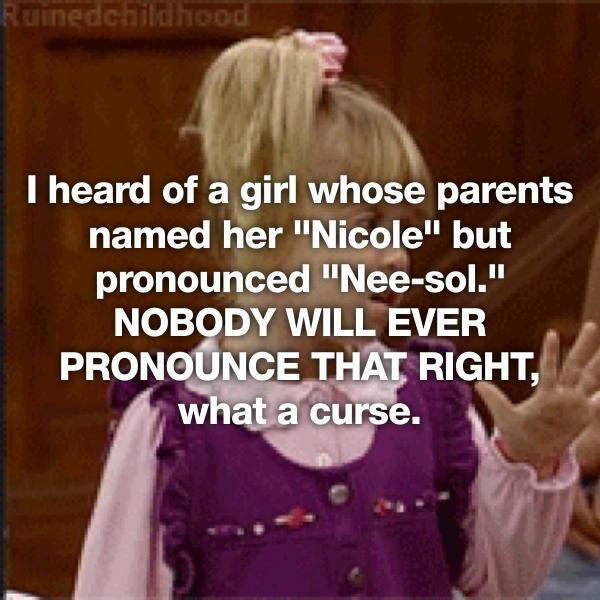 I heard of a girl whose parents named her “Nicole” but pronounced “Nee-sol.” NOBODY WILL EVER PRONOUNCE THAT RIGHT, what a curse. 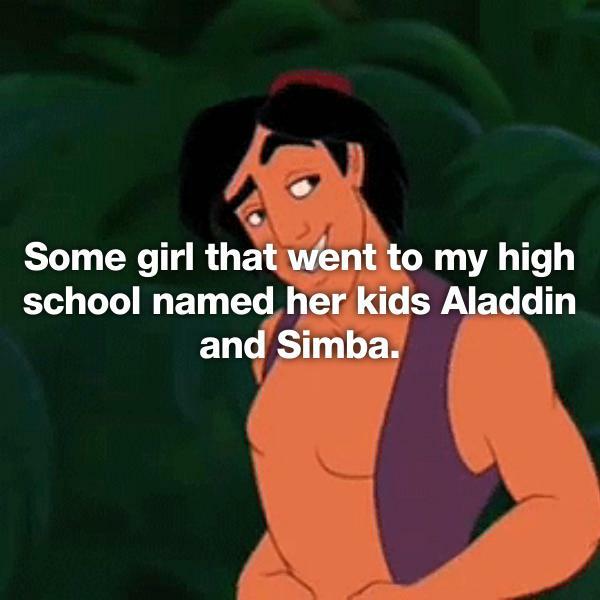 Some girl that went to my high school named her kids Aladdin and Simba.